Steven Pinker, The Better Angels of Our Nature. A massive but highly readable book whose encouraging thesis is that humans are getting less violent over time. Doris Kearns Goodwin, Team of Rivals. About Lincoln and his cabinet. Spellbinding history and vivid psychological portraits. (The Spielberg movie Lincoln was based on it.) The audiobook was fantastic. Paul Stamets, Mycelium Running. Since moving to the midwest, I’ve become obsessed with mushrooms—growing and hunting them, that is; I’ve always been obsessed with eating them—and mycologist Stamets is the visionary genius of mushrooms. Watch his entertaining seminar to learn why “the future is fungi,” and how mushrooms can transform medicine, agriculture, ecology, and pretty much everything else. Then check out his fun book. Paul Gruninger, a Swiss bureaucrat who, during World War II, disobeyed his superiors by giving Jews who were fleeing the Holocaust entry visas to safe Switzerland. Aleksandar Jevtic, a Serb who, when instructed by armed Serbian soldiers to separate Serbs from Croats in a roomful of prisoners—with the Croats presumably due for torture or murder—deliberately misidentified Croats as Serbs, thus saving their lives. Leyla Wydler, a U.S. financial executive who became a whistleblower after discovering that her company was selling fraudulent financial products. 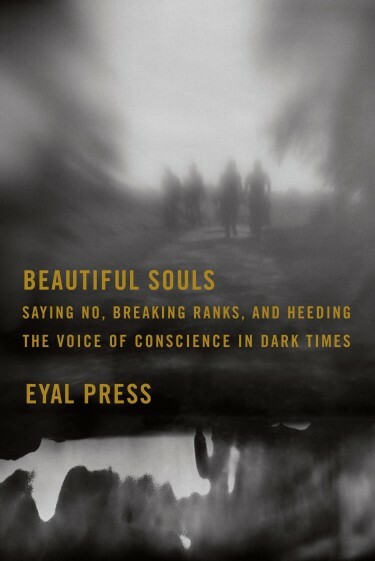 Along with telling their stories, Beautiful Souls explores the personal characteristics that enabled each to behave so bravely. These include: a habit of speaking up, a devotion to the ideals of an organization (or nation) versus the organization itself, independence of thought and attitude (a willingness to go against the crowd), and a privileging of empathy over intellect and ideology. As it happens, I’m writing this on the terrible morning when Islamic fundamentalists murdered eleven journalists and others at the French magazine Charlie Hebdo. Also, someone set off a bomb near the Denver office of the NAACP. Fundamentalists and bigots of all stripes are resorting to extreme measures not just because that’s what they do (coercion being a hallmark of the fundamentalist/bigot mindset), but because they’re fighting for their ideological lives: most societies are getting more liberal and tolerant. Some Awesome Links and See You in Colorado and Missouri!